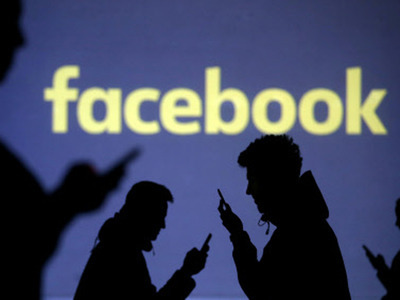 Facebook has been involved in controversy lately surrounding user's data. Despite the exposure of Cambridge Analytica harvesting the online data of up to 87 million Facebook users, the number of active Facebook accounts in existence has not changed. For many people, the concept of an organisation, such as Cambridge Analytica, influencing political affairs is completely abstract. But for others, it strikes a note of fear. The way that our data can be harvested and manipulated to sway referendums and elections towards particular results is a complete breach of democracy. If we truly value democracy it is only right that we should delete Facebook to ensure that our data is protected and that we are no longer influenced by targeted advertising. #DeleteFacebook trended on Twitter as the story of Cambridge Analytica broke, urging people to delete their accounts for good. Despite this, Mark Zuckerberg, CEO of Facebook, maintains that there has been no considerable decline in the number of Facebook accounts in existence since the hashtag started trending. I put this down to the fear of missing out that so many of us suffer from. By not being on Facebook, we feel as though we would be excluded from a large community of people, in the same way that we may feel excluded from an inside joke among a group of friends. Donald Trump’s former chief strategist, Steve Bannon, was the investor behind Cambridge Analytica, linking the outcome of the 2016 Presidential election and Trump’s victory to the company, along with the decision of Britain to leave the European Union. These political outcomes have been hailed as decisions on the right of the political spectrum that were not necessarily predicted to happen. Investigation into Cambridge Analytica revealed that Bannon intended to use this company as a type of psychological warfare, aware of the huge power and influence it could manifest. The lack of impact that the #DeleteFacebook campaign had could also be put down to the ways that we have been manipulated by the obsessive nature of Facebook. Studies have shown that social media is addictive. Facebook has become so intrinsically linked into our lives that we can no longer separate ourselves from it and live without it completely. That ego boost we get when mentioned in a comment, or when someone likes a picture we post could be contributing to our unwillingness to delete Facebook for good. It is also possible to feel as though we couldn’t possibly be affected by this psychological warfare as we are so strongly minded in our own opinions, but the reality is that we may not even realise that we have been impacted by the targeted advertising of Cambridge Analytica.